Calling For Reviews!! 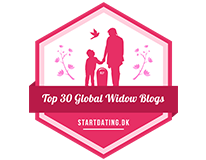 Nicole Leads the Way…..
Now I’m sure, that all my sacrifices in raising my daughters in widowhood, were more than well worth it! Here’s my youngest daughter’s book review of “A Widow’s Pursuit” that she wrote on Amazon……. And that my friends, is proof that I pursued the right path for my family! I know my book isn’t your …lay on the beach, feeling happy….or …..snuggled up on the couch with a cup of tea, feeling warm and cozy with sweet memories…. It’s a book that is partly sad and depressing, just as every widow must experience. But there is hope and there is a happy, exciting future beyond the grief! If you can read past the grief, and read to the end, “Thank you”. 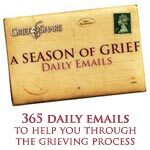 If you are a widow, and feel it has given you insight and hope, please post a review so other widows can read. If you are not a widow, but believe there may be some validity in my story to help others, please post a review. My purpose is to tell my story.